QUALITY BLACK NISSAN ROUGE! FLORIDA OWNED! GOOD CONDITION! EASY FINANCING OPTIONS. FREE CAR FAX! 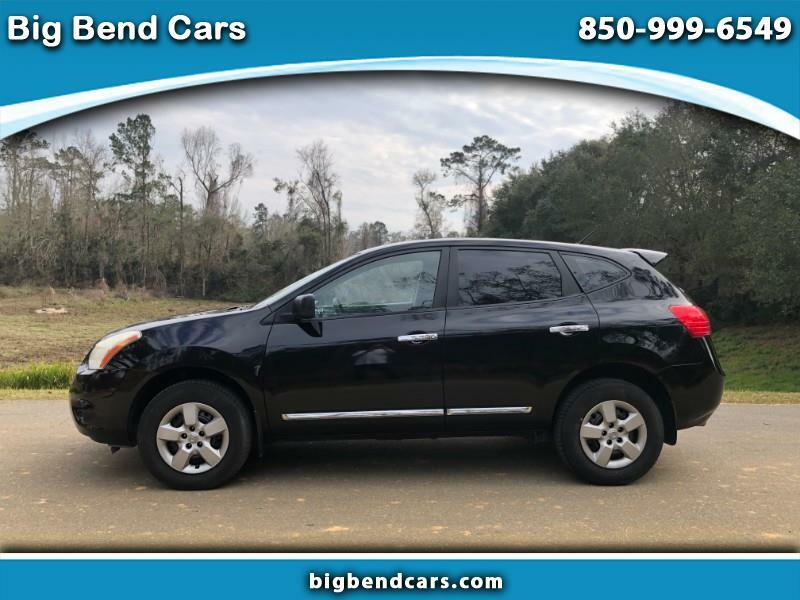 Includes:4-Cyl, 2.5 Liter, Automatic, CVT, AWD, Traction Control, Vehicle Dynamic Control, ABS (4-Wheel), Alarm System, Keyless Entry, Air Conditioning, Power Windows, Power Door Locks, Cruise Control, Power Steering, Tilt Wheel, AM/FM Stereo, Dual Air Bags, Side Air Bags, F&R Head Curtain Air Bags, Steel Wheels. RECENT BRAKE SERVICE INCLUDING FRONT AND REAR PADS AND ROTORS. EXCELLENT TIRES! ALL OF OUR CARS ARE INSPECTED IN A LICENSED REPAIR FACILITY AND UPGRADED AS NEEDED FOR YOUR SAFETY AND PROTECTION. WE OFFER A FREE LIMITED WARRANTY. WE DO OUR BEST TO PROVIDE YOU WITH A QUALITY UPGRADED AFFORDABLE CAR AND A FREE CAR FAX SO YOU CAN MAKE AN INFORMED DECISION ON YOUR CAR PURCHASE. FINANCING WITH NO CREDIT CHECK IS AVAILABLE. BIG BEND CARS WORKS WITH LOCAL CREDIT UNIONS TO HELP YOU OBTAIN LOW INTEREST FINANCING WITH APPROVED CREDIT.